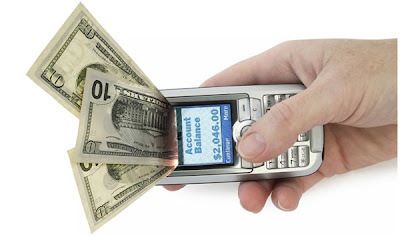 Tips for Make Mobile Banking Safe And Secure ! As we all know that wireless applications have numbers of vulnerabilities higher then the wired applications and the devices. In India there are not lots of people who do banking through mobile but outside India there are high profile countries in which many people do banking through mobile only.So the assurance of the security is needed for them. Here are some recommandation that the bank and the financial institutions which to be noted and to be implemented in their system. - Implement 2 way and 2 factor authentication which goes with the traditional username and the password.If username and password are compromised, the attacker still needs the second factor to gain access to an account. - Implement high transaction monitoring and also fraud detection system.If hacker passes the 1st factor of authentication or the front door,he is being started tracking by tracking system.The system have to generate logs of the activity of the account and the transaction. -Avoid storing sensitive personal information on mobile devices which can easily be retrieved.For any information that bank has to store the information on the client side device then it should implement various security and the encryption and decryption techniques.